Having a comprehensive sales strategy is vital for success, especially for small businesses. 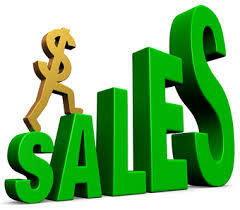 The key to a successful business lies in having a comprehensive and effective sales strategy. To help businesses boost their sales, Fusion Affinities have shared their top tips for small businesses looking to achieve bigger sales and grow their business. Having a comprehensive sales strategy is vital for success, especially for small businesses. The majority of small businesses start out with very limited funding, and rely on the revenue generated from early sales to help their business develop and expand. Sales and marketing firm Fusion Affinities believe that without a thoroughly thought out strategy in place, small businesses are likely to encounter poor sales results and ultimately damage any chance of future growth. An effective sales strategy should map out the customer journey, both pre and post sale, and assess whether any changes could be made to improve the customer experience. By thinking like a customer and viewing these processes from a consumer viewpoint, Fusion Affinities believe small businesses will be able to improve their customer relationships and therefore boost their acquisition and retention rates. An effective sales strategy should also explore how a business could reduce their costs whilst maintaining a high quota of sales, this step is especially important for smaller businesses that may need to keep a close eye on budgets. Most businesses will find that it's far easier to sell to referrals, therefore businesses should think about changing their processes and finding an appropriate time to ask for referrals after completing a sale. Fusion Affinities believe that in many cases, if a sales person has carried out their role well then customers will often be happy to refer others without being prompted. Business owners are no strangers to selling, setting up any business is a long process of constantly selling the idea to investors and partners, therefore it makes sense for a business owner to utilise these sales skills in order to help their workers drive more sales. Shadowing workers and offering advice and guidance could soon see the number of sales rise. Approaching all aspects from a multipurpose perspective could help save a business time, money and increase sales. For example, if a business receives praise from a customer, then they should think about how they could incorporate that praise into their sales approach in order to both put customers at ease and drive more sales. Fusion Affinities is a Bristol based outsourced direct marketing firm. The firm strategically develop and run captivating marketing campaigns, designed specifically to meet the needs of each individual client. By working closely with each client Fusion Affinities are able to incorporate their clients unique set of goals and values into each campaign. This approach allows customer to identify with a brand on a personal level, leading to strong customer connections and increased sales.